The annual Art in the Palms arts festival on Palm Island took place November 9. There was an impressive assembly of artists as well as music and food. It is always a fun event and I like to take the Palm Island Resort shuttle to Rum Bay restaurant for lunch and a walk on the beach. There are no bridges to Palm Island so you must take the ferry. It is a short ride of just a few minutes. One could almost throw a stone from the ferry ramp across to the island, it is so close. The organizers ask a $2.00 donation for the ferry. 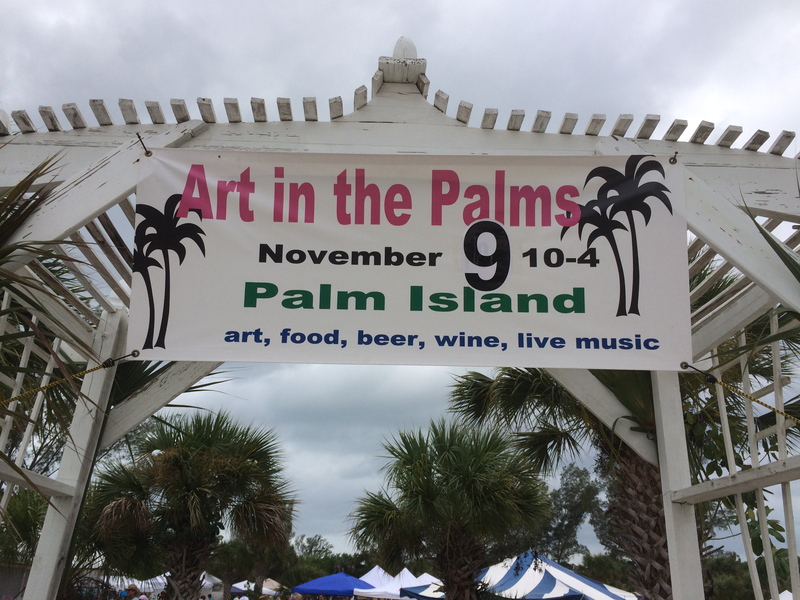 Artists include wood carvers, painters, glass artists, jewelers and more.